With over 25 years’ experience, Sportscover is one of the world’s leading specialist sports and leisure insurers. They provide tailored insurance solutions and products across Europe and Australia. Sportscover reached out to us having decided to move away from the premises they shared with their parent company to become more independent and establish their own exclusive UK base. 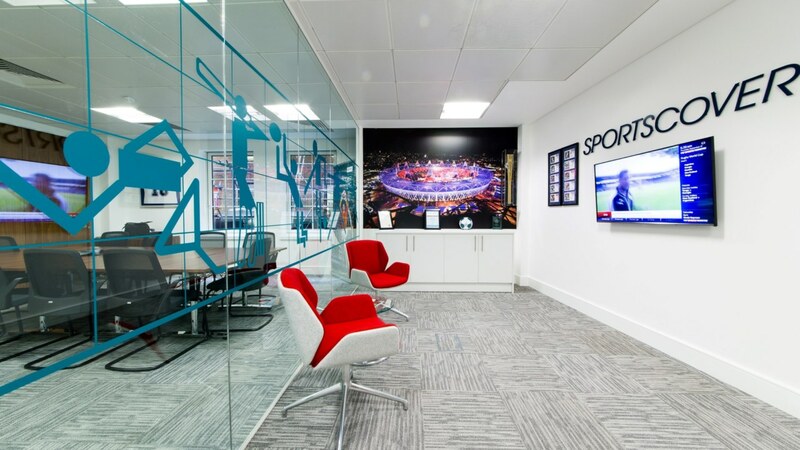 These offices were dated and not reflective of their sporting background. Our team conducted several in depth design workshops with the CEO to discuss the look and feel of the project. They wanted a modern, open-plan design that echoed their sporting ethos. 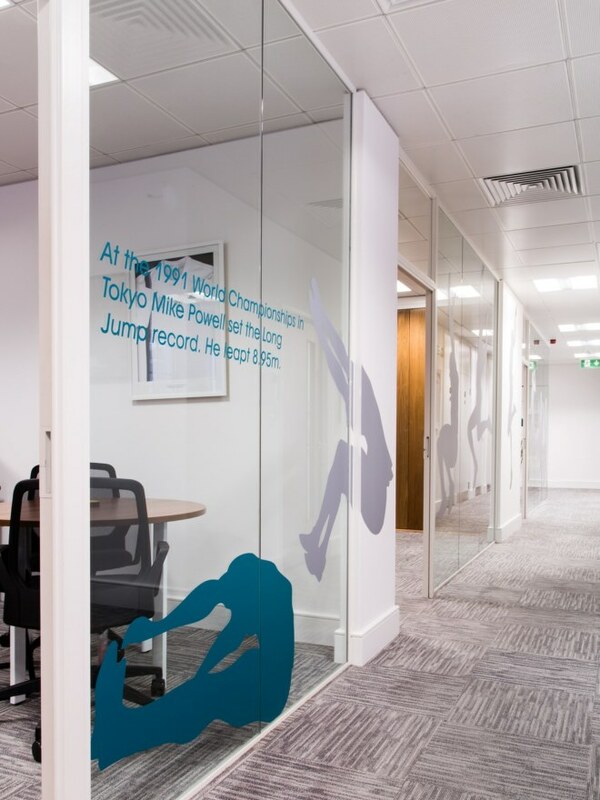 They were particular about incorporating the long jump world record in the design and we took this and their sports memorabilia into consideration from day one. We created high specification visuals to demonstrate how their display would look in the finished design. 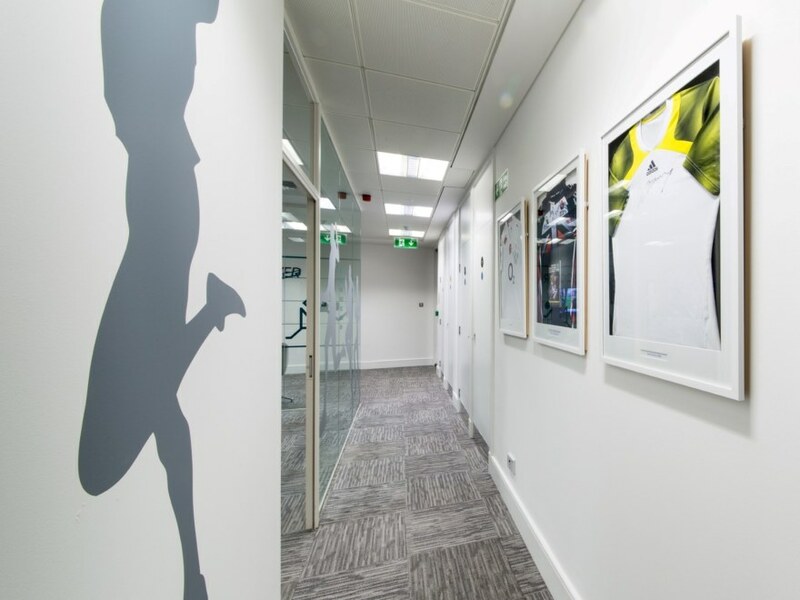 Sportscover are delighted with their striking new space. 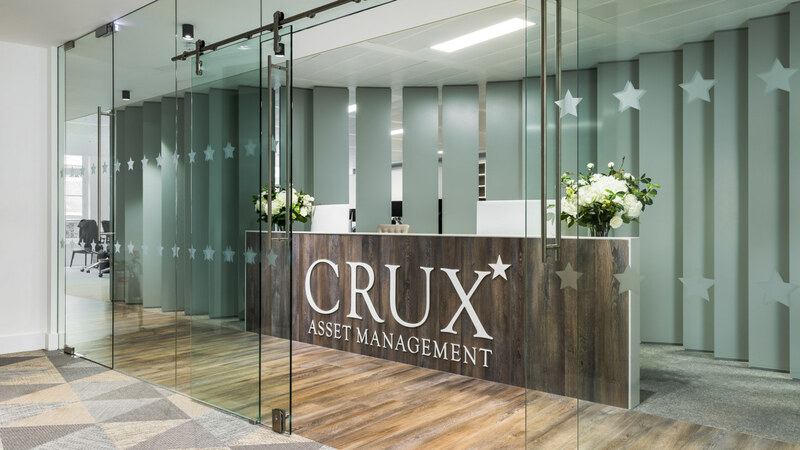 The design is functional and full of character, and the sporting features in the reception leave a lasting impression on everyone who enters their office. 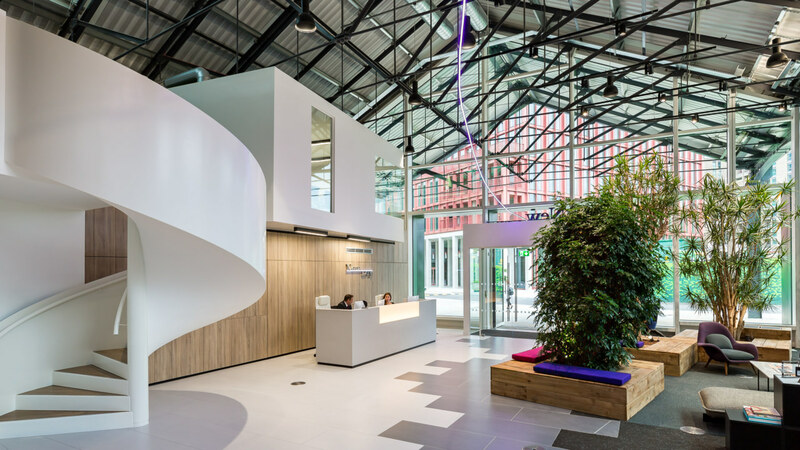 The spaces include one large office, a reception, a breakout space and two meeting rooms with a folding wall to allow flexibility. 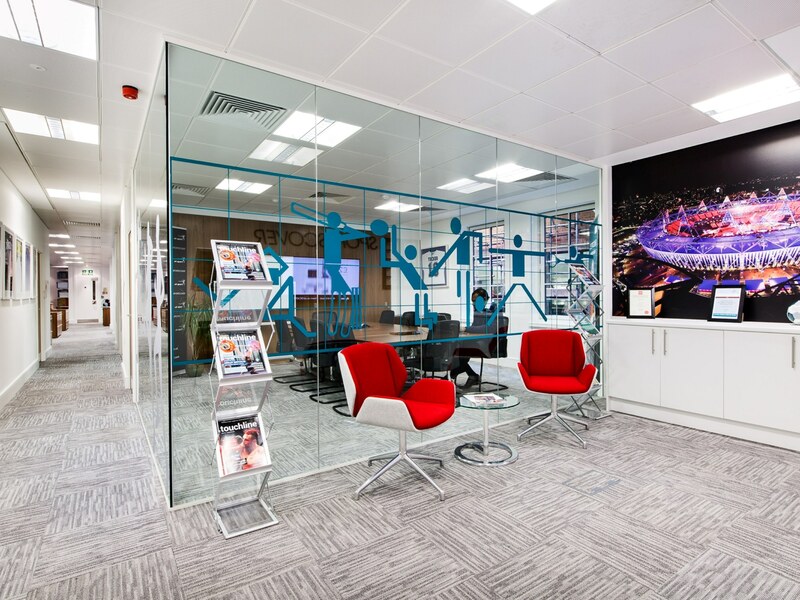 To ensure their new space reflected their sporting professionalism, our Designer placed large digital graphics representing the long jump world record in the reception, along with a large image of the London 2012 Olympic Games. We also displayed their sports memorabilia throughout the office, including their own Olympic torch to further represent their values and interests. We included reds, greens and dark walnut in the colour palette to create a sleek and vibrant look.